View More In Camera Lenses. The Super wide lens will shed a whole new perspective on your Phone photography experience! Snap the wide 140 degree angle 0.4x magnification shots, take cool videos a cool funky new way, or get close up in on your friend's face for laugh-out-loud effects! 1. Macro lens can take clear photos of samll objects. 2. Wide angle lens can shoot larger range of scenery. 3. 180 degrees of the scene can be captured by Fisheye lens which makes you enjoy the magic world. Unviversal clip lens can apply to phone, pad, tablet and laptops or anywhere you can imagine. What is more maybe in the package? We prepare a small gift for you. We try our best to make your smart life easier. That means starting with affordable, high-quality gear and ending with a commitment to 100% user satisfaction. After all, we're customers too. Nano high penetrability,low reflection coating technique. 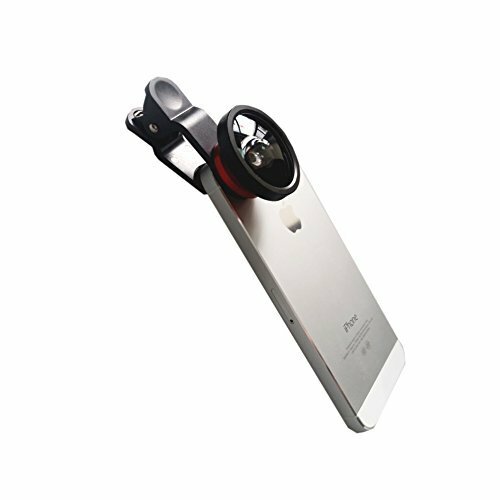 Portable and detachable, you can take photo with your devices at any time. If you have any questions about this product by TVS, contact us by completing and submitting the form below. If you are looking for a specif part number, please include it with your message.